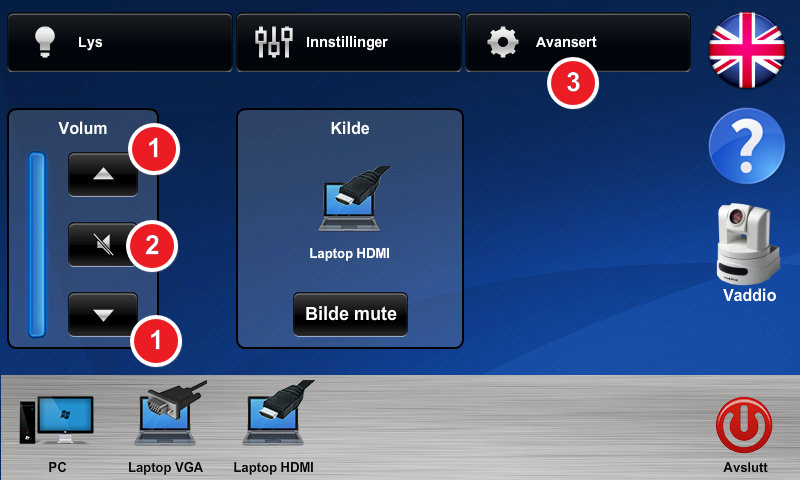 You can control audio aoutput and levels in all AV-rooms. Most of the time you will have to use the Control panel. The Crestron Control panel is touch enabled. Tap the screen to boot up the system and to access different menus and functions. The Start page is the first thing you will see after you start the system. Volume can be turned up or down using the arrow-keys. 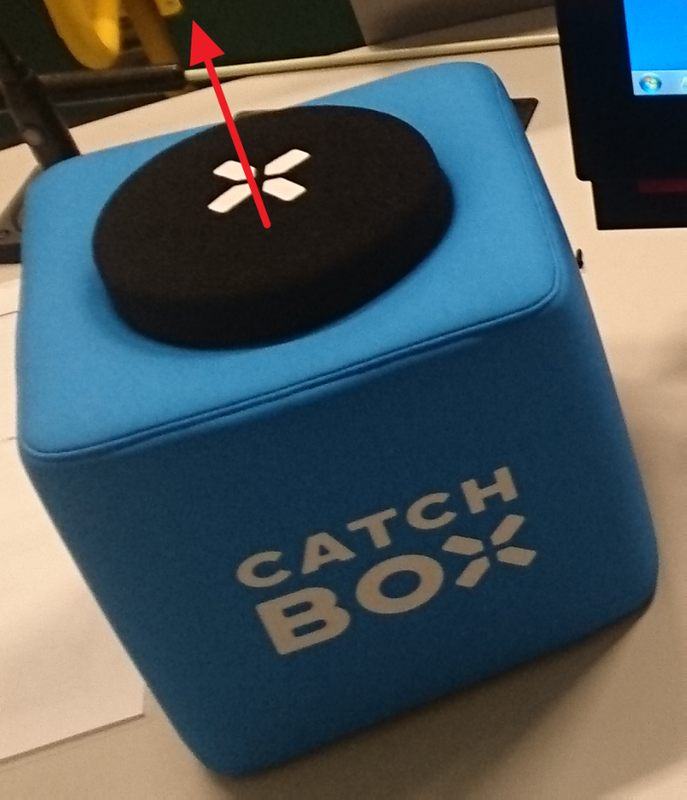 Mute is applied to turn off audio output in the room (temporarily). 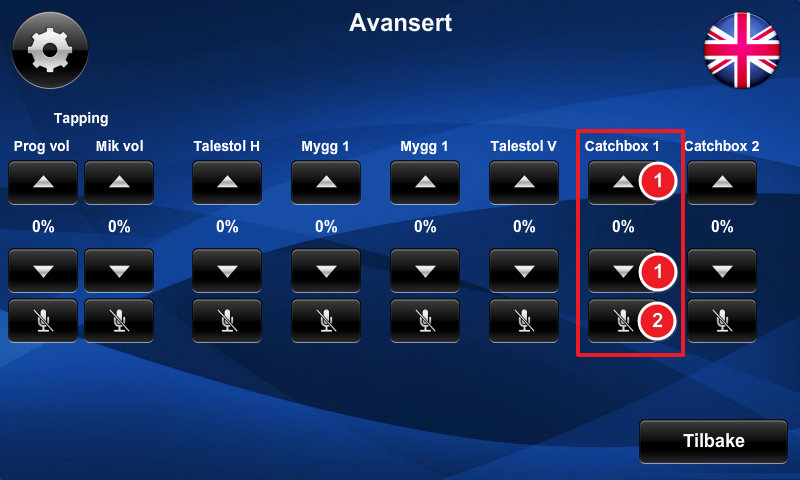 Avansert (advanced) displays a detailed menu for adjusting connected mics in the room. Use the arrow-keys to set the gain for each microphone. Select Mute to make the microphone not pick up any sound. Each column represents 1 mic. Turn the audio volume all the way up to 100 % when sharing content. Then, adjust the audio-out volume using the Control panel if needed (see instruction further up on this page). Open the battery-latch, and press and hold the on/off-switch to turn on the device. The display lights up when turned on. 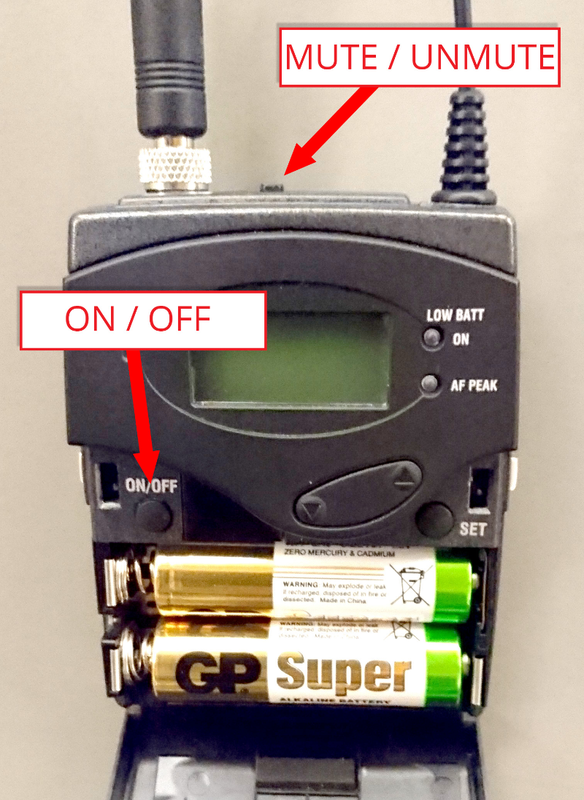 The mute switch is located on the top of the transmittor. If nothing happens when the on/off-switch is pressed down, then most likely the batteries are drained and need to be replaced. Batteries should be in ample supply somewhere near the lecture furniture.